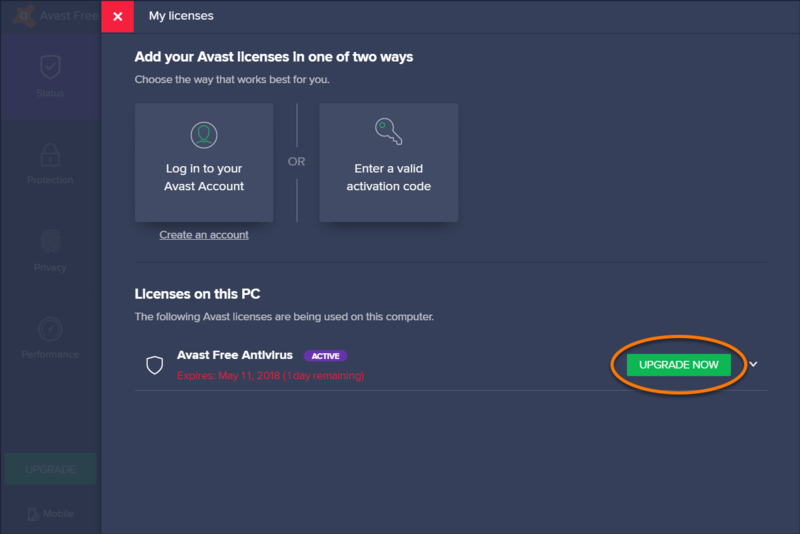 It is no longer necessary to register your Avast Free Antivirus as your initial free license automatically activates after installation. When your free license expires, you can let the program automatically renew it. Alternatively, you can manually activate your 1-year license by following the steps in this article. Right-click the Avast icon in your system tray and select Registration information. On the My licenses screen, click the Upgrade now button next to Avast Free Antivirus in the list located under Licenses on this PC. 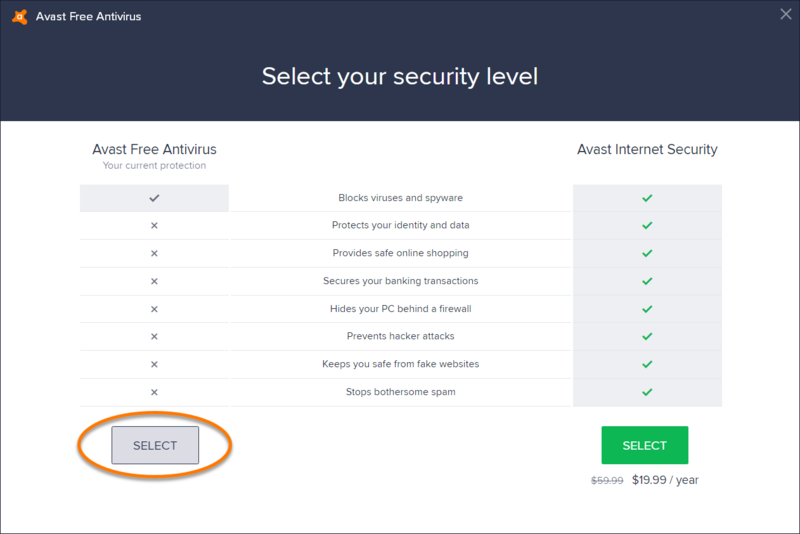 Click Select in the Avast Free Antivirus column. Click the X icon on the new screen that appears to return to the My licenses screen. Your Avast Free Antivirus license is now activated for one year. The expiration date of your license appears under Licenses on this PC. When your license expires, you can let the program automatically renew it or manually activate your license again using the steps above.